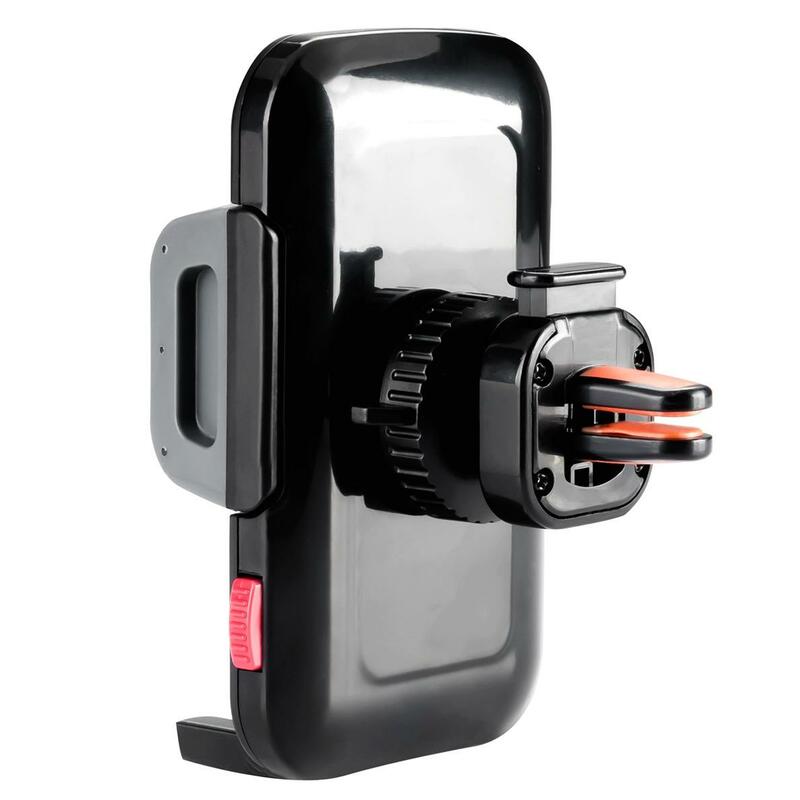 Broad Compatibility - Equipped with 2 different clips can fit almost all the air vents like vertical or horizontal vent blades. 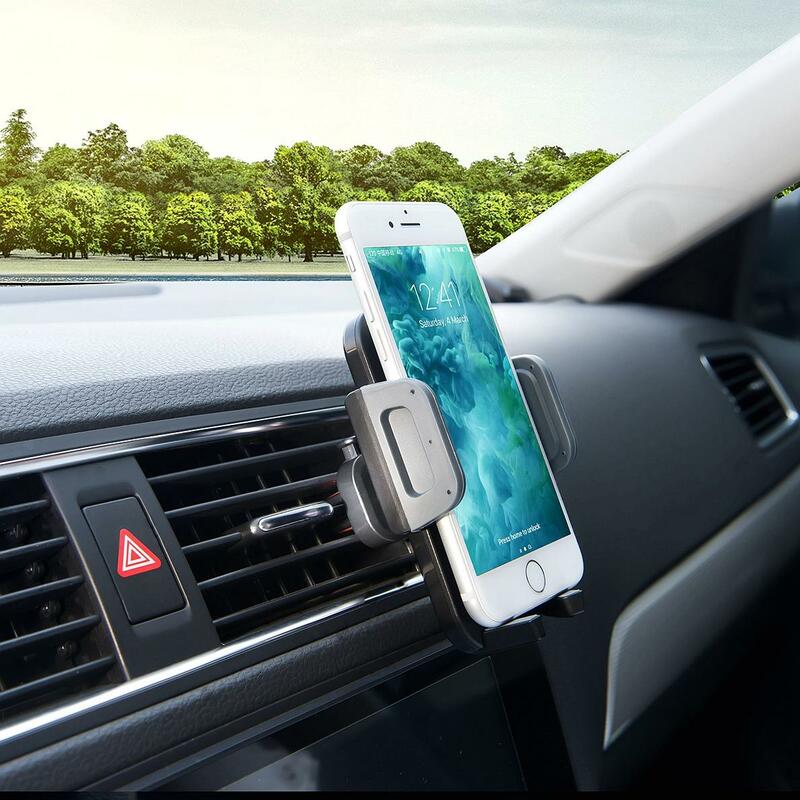 Extendable clamp with a quick release button flexibly adjust width, fits all devices that screen size between 3.5"-6" inches(Diagonal). 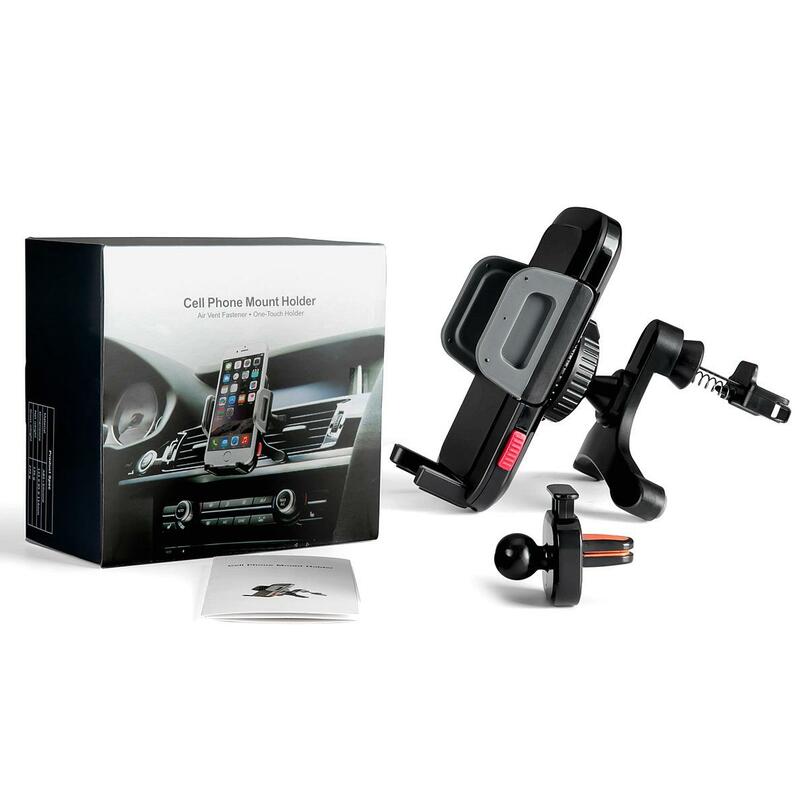 The Full Multi Protection - Comes with 2 foldable support feet and secure back with soft environment-friendly rubber pads keep your device more stable without falling or moving around, even when you're driving on a bumpy road. The Perfect Viewing Angle - 360 degree rotatable swivel head allows you to adjust your ideal viewing angle freely, portrait,landscape or any angled for safer driving. Convenient Use - Made of environmental ABS and strong quality plastic material, stable in structure. 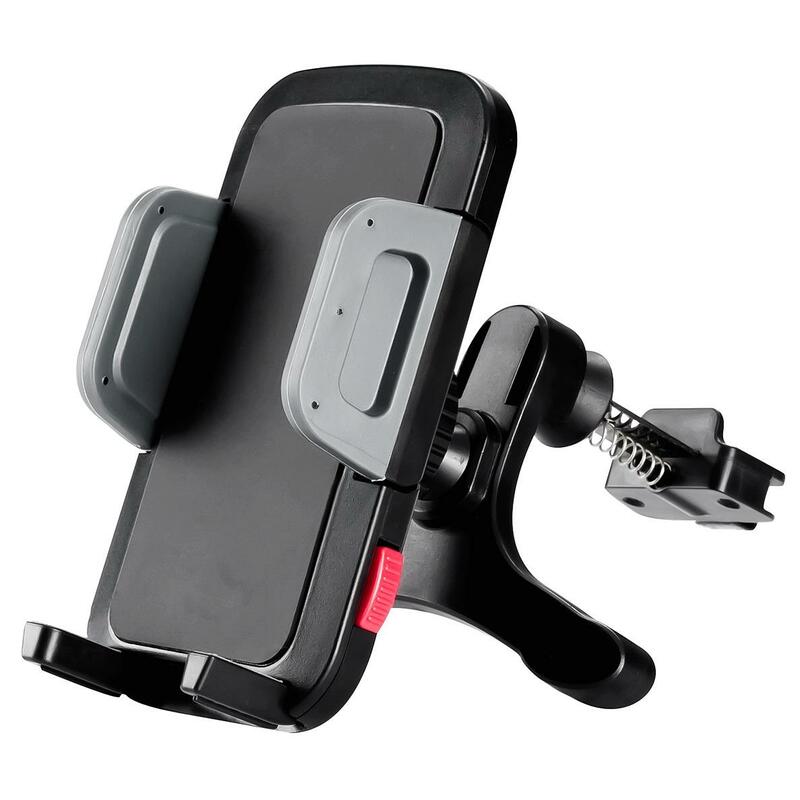 A quick release button releases your device with just a push, save time and power. Easy Installation - Easy to install / remove, No tools and adhesives required. Fits both vertical and horizontal vents, not applicable for round blade vent outlet.